best overblow harp – Spiers Custom Harmonicas- custom harps you can depend on! An overblow is an additional note obtained through advanced technique. Lots of players have never heard of it, or confuse the term with *blow bends* or simply playing really hard. That’s not the case, keep reading! Another mistake is assuming that since the higher-priced Stages cost more, they must be higher quality. This couldn’t be further from the truth! They’re all just different tools for different purposes. If you don’t plan to incorporate overblows into your music, the Stage I option is the best tool for the job. An overblow harp is a fantastic tool that can save you a lot of time and frustration, but there’s absolutely no benefit in paying for that setup labor if you don’t intend to use them! Please watch these youtube videos that Todd Parrott and Adam Gussow have posted. 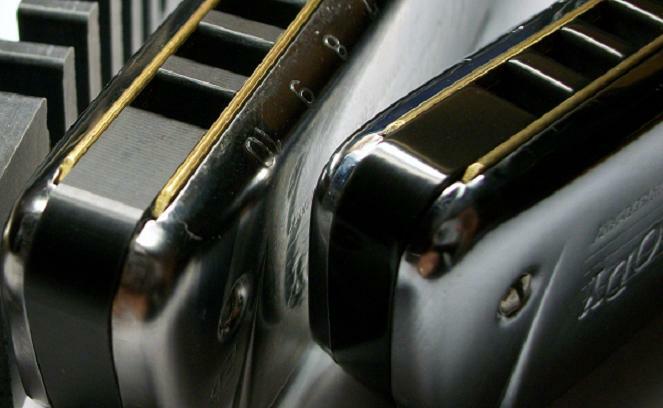 Make sure you really need or want to go there before ordering a more expensive high-end overblow harmonica. Adam kicks his off by playing “Alley Cat” on a Spiers custom harmonica. He has a whole bunch of instructional videos on youtube, and has lessons and music available for sale on modernbluesharmonica.com. Todd Parrott pushes fresh boundaries with Joe Spiers custom overblow harmonicas, and offers lessons via Skype. He also has a new cd available. His site is www.toddparrott.com. https://spiersharmonicas.com/wp-content/uploads/GMcombcompare.jpg 408 663 customwpdev https://spiersharmonicas.com/wp-content/uploads/spiersHarmonicasLogo.png customwpdev2015-05-14 12:11:392019-04-18 18:56:31What’s an overblow?